Soybeans are offloaded from a combine in Brownsburg, Ind., Sept. 21, 2018 (AP photo by Michael Conroy). 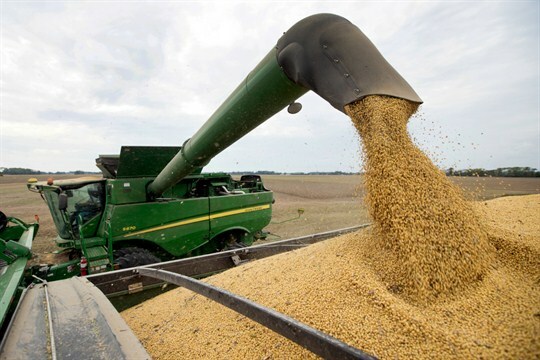 American farmers have arguably suffered the greatest collateral damage in President Donald Trump’s ongoing trade war with China, and things could get even worse. A landmark ruling last month by the World Trade Organization—one of Trump’s favorite targets—should have been good news for American farmers, since it could provide a bit of relief for them from the trade war. But even that small compensation is now likely to be delayed or lost—again because of Trump.